BalanceWear® is creating major interest in Scandinavia! 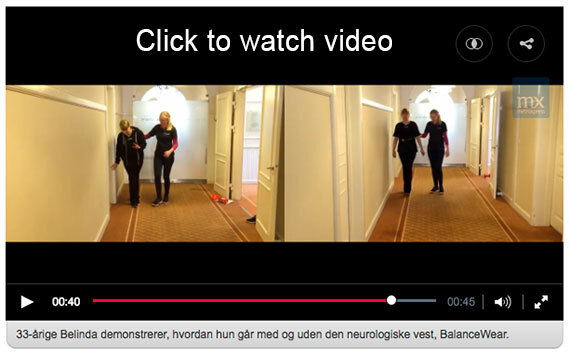 BalanceWear was featured on Good Morning Denmark (their Good Morning America) See the segment here. This news feature highlights a young 33-year-old female with MS who suffered from profound dizziness. Once BalanceWear was applied, she could tandem walk and run! She was able to run faster than me! BalanceWear dramatically improved her quality of life. In just three days the clinic has received 125 calls from interested patients wanting to be seen and try BalanceWear®.